We recently spent some time helping doing a little market prep in this home. Like a lot of people with kids, jobs and LIVES - things were a little too hectic and they asked us to help out where we could. I was delighted with all the extra spaces to play. Most newly built places these days are designed around a wide open concept which this townhouse is, no doubt, but it also has nooks and areas of interest. I’ve been missing that -a lot actually- lately. It’s certainly easy to love a fresh newly built home but I love me some space to play and that’s what I adore most about this townhome. It’s got that roominess that says, maybe I’d make a great little side office, maybe a sweet little area to play music or maybe if you share my style maybe I’d make a great little bar area: The type where guests can grab a cocktail or nibble on some cheese with wine before dinner or even an epic games night. This neighborhood has some obvious and some not so obvious pluses. Close to town, extremely central to Uptown, Mayfair, Downtown and on major bus routes. Obvious. But turn right and you’ll hit the little waterfront pocket.of Victoria that nobody really realizes is there. It’s got so much that you didn’t know about. 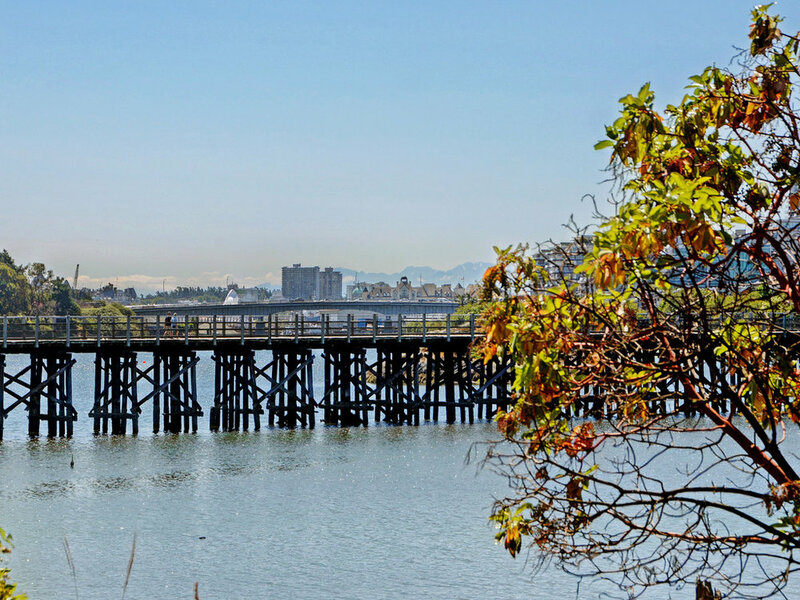 A world class gym and rowing club, coffee shops, trendy breweries and hot spots like Glo restaurant, the other side of the trestle bridge and galloping goose. Unforeseen. Since my office is directly up the road I’ve spent a lot of time at all of these places and they’re great. A totally eclectic mix of the incremental changes that brought some of Victoria’s coolest business to Rock Bay. Parachute Ice Cream, Saltchuck Pies, our pals at Max Furniture and the family run Hoyne brewery. No business or pass time is off limits! This home is priced to sell so please contact Anais O’Neill if you want to view. This place is perfect for your spacious living needs close to town.. It’s got 3 bedroom+ den, 3 bathrooms and whole lot of bonus space. The complex itself is well run and your next door neighbour is super nice. We met them already and you’re going to love them. You’ll probably want to have them over at some point. This home does come with secure single car garage for parking, convenient in-suite storage and laundry. Click on the tour button below for an awesome walk-through tool that is the next best thing to being there. There are no restrictions on age so kids are welcome. They allow pets, both dogs and cats!! You are ok to use a BBQ on your balcony and there are some rentals allowed. 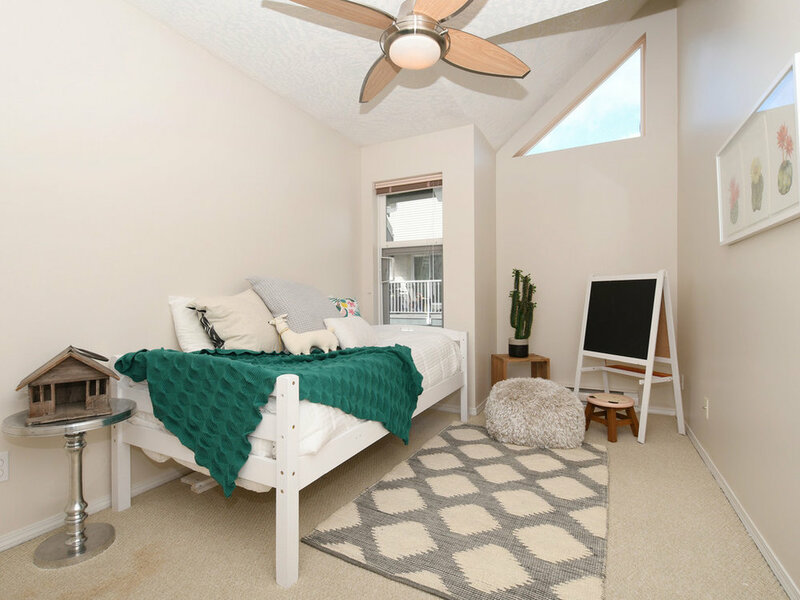 You’re going to love the feel of the place so go ahead and click on the 3d tour button or reach out, We’d love to meet you and show you the home.